What Do Gambling and Trading Have In Common? More than you think. 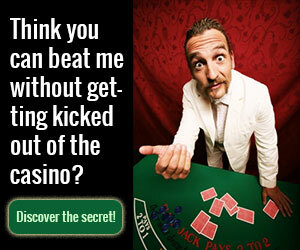 Blackjack is the only gambling game that is not determined by chance alone. The shrewd player can influence the outcome by counting the cards. The fact that most casino visitors unconsciously aim at losing (the gambling addicts) or play for the thrill creates chances for the rational gambler, the one who sits down at the blackjack table well-prepared and poised to win.